I enjoyed The Mystery of Edwin Drood, in so far as one can enjoy an unfinished work. Although I, of course, knew this to be unfinished, it was still a disappointment when I reached the end of the text not to know how it all concludes. When I read Dickens in my teens, I was not overly fond of his writing style; however, I really appreciated his prose in this book and wonder if I should review some of the others again, coming to them with an older eye. Edwin Drood himself is, in many way, not a likeable character. That said, many of the others prove themselves worse, and the story was becoming exciting at the point it broke off. 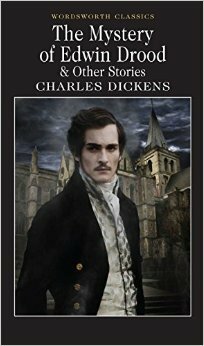 If you are a fan of Dickens I would recommend this book. However, if you are someone who likes definite conclusions, this is probably not the book for you, given that it breaks off mid-story. This edition also included some delightful shorter works, some poignant, some funny.